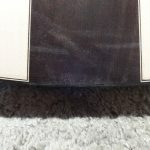 New guitar. Maple Romanillos style. Very similar to one I built 10 years ago or so. Finishing now. 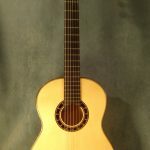 Here are some pictures of a guitar I built in Spain, 2004 in the Romanillos workshop.